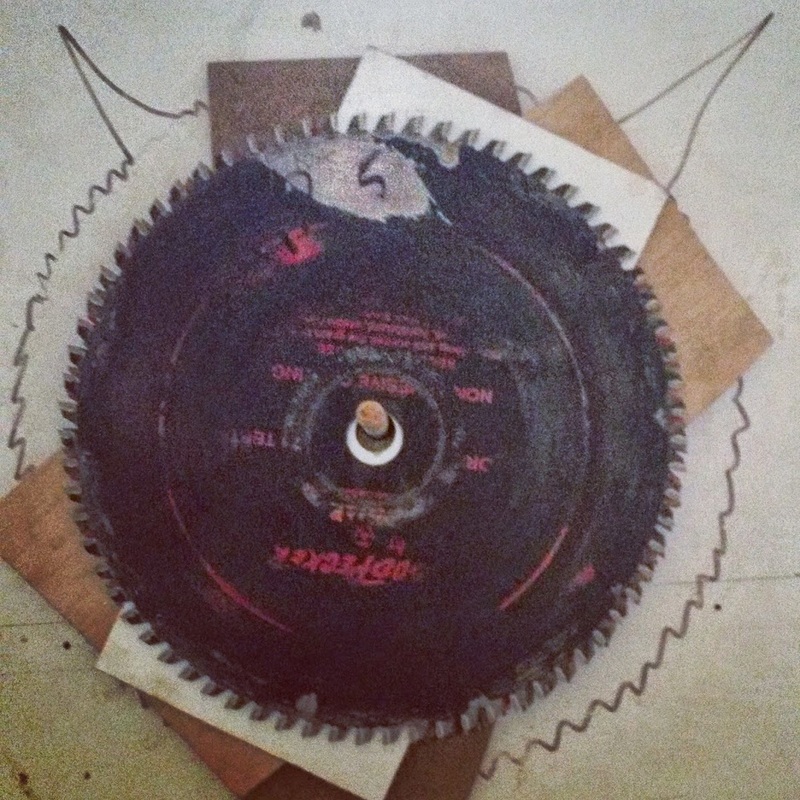 Drawings of severed fingers and devil horns drawn on saw-blade holders on the back of a panel saw, commenting on both the physical and ethical hazards of our workplace? Found in a shop on Sterling Ave. in Toronto's west end. summer of 2014. Sign partially obscured by garbage reads "Do Not Leave Your Garbage Here." Found in small industrial space at Dufferin and Queen, Fall 2014. Popsicle-stick cross with dead bee. Text reads "R.I.P. Bee, 2014-2014." Other text reads "chair" and gives details related (possibly) to a condo job to be built out of elm wood. I found this on an inside wall next to the loading bay of a light industrial building on Dufferin near Queen W. in Toronto. Fall 2014.